Becoming a teacher in West Virginia is a rewarding choice for a profession. You will have the power to impact the coming generation of leaders in our world. The following steps will help guide your journey toward becoming a teacher in the wonderful state of West Virginia. You have several options for certification, so it is important to narrow them down from the beginning. Start with considering the following areas: elementary school, middle school, high school, or special education. Deciding what type of students you want to instruct and what subjects you want to teach are the first steps to becoming a teacher in West Virginia. You can learn more about teachers, students, districts, and certification guidelines at the West Virginia Department of Education. The basic education requirements in West Virginia are the possession of a Bachelor's Degree and the completion of a State Board-approved teacher preparation program. The preparation program prepares individuals for specific areas of certification. Regularly, teacher preparation programs are blended together with Degree programs. The blended route allows for individuals to become certified teachers earlier in life. If you already have a Bachelor's Degree, you will have the opportunity to complete a post-baccalaureate or alternative teacher preparation program. Teacher preparation programs in West Virginia are usually structured on a mixture of college coursework and fieldwork. The college courses in the program commonly instruct on subject-based teaching methods, differentiated instructional strategies, multiple assessment measures, and classroom management. The fieldwork portion is a blending of classroom observations and student teaching. Student teaching usually requires an individual to work in real classrooms for a specified amount of time. During that time, the student teacher works under the guidance of a certificated teacher in order to plan and implement lessons based on the needs of the student population. As mentioned earlier, it is quite common for individuals to complete a teacher preparation program as part of a Bachelor's Degree program. This option is great for individuals who decide to become a teacher early on in their college career. On the other hand, if you already have a Bachelor's Degree in an unrelated field, you can complete a post-baccalaureate or alternative teacher preparation program. In West Virginia, there are several other routes to certification. Troops to Teachers is a program that helps veterans become teachers. This program helps veterans from all over the country in their efforts to become professional educators. The Transition to Teaching Program is for individuals who change careers into teaching. It is an alternative certification program that works with West Virginia school districts to place and certify qualifying participants in the classroom. If you are certified to teach in another state, West Virginia might accept you licensure. West Virginia accepts reciprocity from several states. Contact West Virginia's Department of Education to find out if your certification can become valid in West Virginia. Full time permits are for individuals who want to teach while working on a teaching certificate. For this route, it is required that individuals hold a Bachelor's Degree with at minimum of a 2.5 GPA at a regionally accredited college or university. Individuals who are on their way to becoming certified to teach in West Virginia must also meet the testing requirements of the teacher preparation program they completed. In West Virginia, teachers should pass the Pre-Professional Skills Tests (PPST). The basic skills test could be fulfilled by taking the Praxis CORE Academic Skills for Educators Test. This test measures skills in reading, writing, and mathematics. The Praxis II test includes the content specialty test and the professional knowledge tests. This test will measure a candidate's knowledge in the area they wish to become certified in. With that said, the Praxis II must be taken in the area you wish to become licensed in. The test is includes multiple choice questions as well as constructed response essay questions. Once the above requirements are processed, you will be on your way to land the teaching job of your dreams in West Virginia! West Virginia is proactively recruiting for the state's teacher shortages which affect many of the subject areas taught in public and private schools, and across all age groups. In order to best meet their need, a collaborative effort has been made to maintain a current job posting database at the K-12 Job-Bank through the Department of Education website. Should teachers wish to pursue a teaching role outside the public system, the state's 148 private schools also have an ongoing need for dynamic, certified educators. Note that over 80% of private schools in the state have religious affiliation. Private schools in West Virginia boast an impressive student to teacher ratio of 11 students per teacher. Once hired, teachers may join teacher associations. 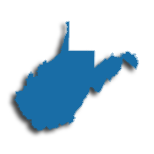 Options include the American Federation of Teacher (AFT-WV), West Virginia Education Association (WVEA), and the West Virginia Professional Educators. These organizations advocate for teachers labor and legal rights as well as provide professional networking opportunities. Upon retirement, public school teachers will be eligible to draw from their retirement pensions managed through the Teachers' Retirement System (TRS). The table below lists the number of public school teachers in West Virginia by grade level during the 2012-2013 school year. There are more than 120 private schools with an estimated 1,000 private school teachers in West Virginia. The table below details the number of teachers by grade level during the 2011-2012 school year. Ongoing professional development for teachers is truly an investment in tomorrow's workforce. Students who have contact with a highly trained teacher, that is, one who has undergone significant professional development, show greater academic achievement and leadership ability. Professional development can take many forms, from informal in-services to national conferences. Generally, the topics of professional development fall into several broad categories: subject matter expertise, classroom strategy integration, assessment methods, differentiated instruction, or leadership. In the state of West Virginia, teachers are provided with a number of ways to improve their professional practice. The West Virginia Professional Teaching Standards have been developed to establish a benchmark for what teachers are expected to do in the classroom. Additional initiatives like eLearning have been established in order to ensure that all educators have equal access to web-based professional development opportunities. Further, the National Board for Professional Teaching Standards provides further incentives for teachers to strive for excellence in the classroom. Teachers with further questions are encouraged to contact their administrative team for more information. A master's degree in West Virginia will help you achieve the Permanent Professional Teaching Certificate, the highest teaching certificate offered through the West Virginia Department of Education. The Permanent Professional certificate comes with its share of perks, including a lifetime credential with no professional development/continuing education requirements. West Virginia recognizes a tiered system of teacher licensure, which includes an Initial Professional Teaching Certificate, a Professional Five-Year Teaching Certificate, and an optional Permanent Professional Teaching Certificate. 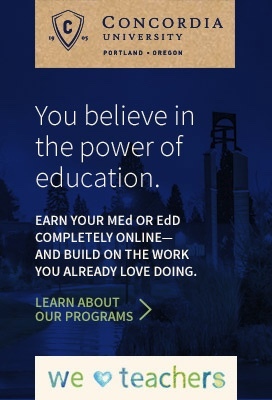 After earning your Initial Professional Teaching Certificate and teaching for a period of three years, you'll advance to the Professional Five-Year Teaching Certificate, which is valid for a period of five years and renewable based on two years of teaching experience, six semester hours of college coursework, and a superintendent recommendation. Work toward your master's degree while holding this license and you'll meet the college coursework requirements for renewal after completing just two courses. Your master's degree, combined with an additional 30 graduate hours of coursework, will also satisfy renewal requirements for as long as you hold the certificate. Plus, you can apply for a salary supplement upon earning this degree by completing Form 12 - Advanced Degree and/or Salary, or NBPTS Salary Supplement. Once you've earned your master's degree and at least five years of teaching on a Professional Five-Tear Teaching Certificate, you'll also be eligible for a Permanent Professional Teaching Certificate, which is valid for a lifetime until surrendered, suspended, or revoked. Apply for a Permanent Professional Teaching Certificate through the West Virginia Department of Education here. According to the 2017 WV Department of Education Salary Schedules, all school districts paid educators with master's degrees more than those with bachelor's degrees. For example, teachers with a bachelor's degree in the Kanawha School District earned a minimum salary of $35,094, while those with a master's degree earned a minimum salary of $38,092, or about $3,000 more. Similarly, teachers in the Berkeley School District earned a minimum salary of $35,488 with a bachelor's degree and a minimum salary of $38,378 with a master's degree.